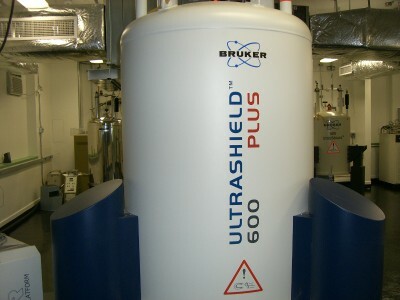 The NMR facility at Hunter was established in 1983 and at present consists of three major instruments, a JEOL GX-400, a Varian Inova 500, and a Bruker Avance 500, equipped with a 13C-1H cryoprobe. These spectrometers are utilized by scientists from Hunter College, as well as from the entire CUNY community. The large variety of available probes allows detection of virtually any NMR-active nuclide. Data analysis is performed either by making use of the spectrometer software or by using our networking capability, and trasferring data to various off-line software packages. The Facility gets extensive use from researchers involved in synthesis and analysis of organic and inorganic compounds, isolation and identification of natural products, and determination of three-dimensional structures of peptides and proteins. 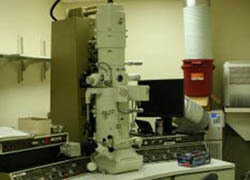 Rather than acting as a service facility, to which researchers submit samples or make requests, the NMR Facility is an integral part of the research experience at Hunter. Almost all experiments are performed on a hands-on basis by undergraduates, graduate students, postdoctoral fellows, and faculty. Researchers employ the spectrometers to perform a wide range of experiments, from "simple" proton and carbon spectra, to basic two-dimensional experiments, such as COSY and NOESY, to the latest higher dimensional sequences used in structural biology. This is our workhorse instrument, used by numerous researchers every day. Unique to Hunter College is that this instrument has a carbon-proton cryoprobe. This probe gives a sensitivity enhancement of a factor of four over conventional probes, for both carbon and proton observe experiments. All researchers have access to the ultra-high sensitivity which this probe provides. This probe provides the ability to perform 13C experiments, as well as 2D experiments on sample quantities which are two small to analyze on conventional probes. The GX-400 is our most versatile instrument, with. full variable temperature and multinuclear capabilities. We have 5mm as well as 10mm broadband probes, as well as a 10mm low frequency probe. The instrument is most commonly used for observing , nuclei other than 1H and 13C, e.g. 31P and 183W, and for variable temperature experiments. The Inova is a sophisticated instrument with pulsed field gradients and a triple resonance, reverse detection probe. It has been utilized for structure determination of peptides and proteins, making use of 1D, 2D, and 3D experiments. The Inova was upgraded to allow the performance of solids experiments, and researchers in the Department of Physics as well as the Department of Chemistry are now utilizing this capability. The cost for use of the Facility is $6/hour. This applies to researchers at Hunter or other CUNY schools. If time is available, researchers from other universities may use the Facility for the same price. The charge for industrial use is $100/hour and is allowable if this usage does not conflict with federal regulations concerning use of equipment purchased with federal funds.